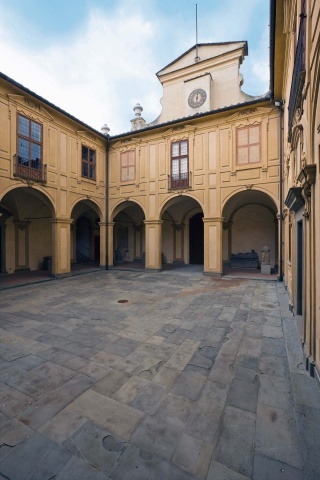 The imposing and attractive baroque appearance of the Villa Corsini in Castello that we see today is actually the result of the many structural changes the house underwent for at least three hundred years. Like Villa della Petraia, it too was originally owned by Palla Strozzi, who sold it to the Rinieri family in the first half of the 15th century. At the time, the villa displayed the simple style of a stately but nevertheless rural property, the first element to be changed by the Rinieris. 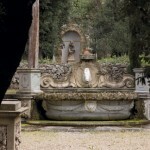 The garden especially was put in the hands of Niccolò Tribolo, the same architect who, under Eleonora of Toledo’s direction, would begin work on extending Boboli Gardens in the mid-16th century. 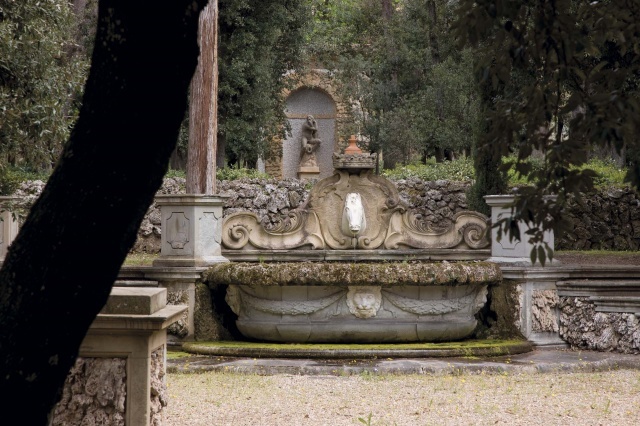 Previously little more than a kitchen garden with an adjoining orchard, the Villa Corsini garden was transformed into an Italian-style garden, with statues, fountains, and geometric beds. The palace was expanded, bringing together, behind a single impressive façade, the buildings of the stately palace and the annexed farmhouse. 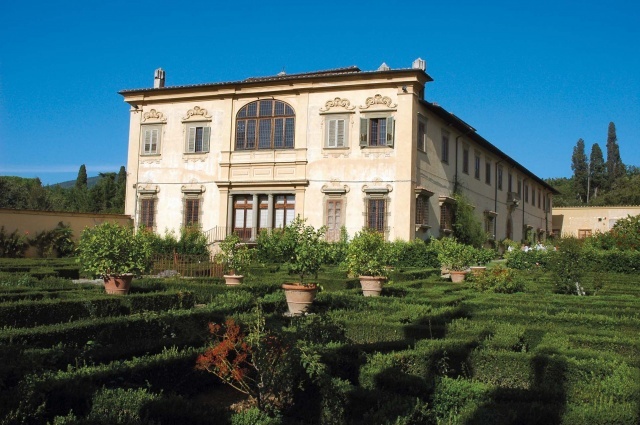 Passing once again through various owners (for a short time it was again in the hands of the Medici family), the villa was bought at the end of the 17th century by the Corsini family, who owned it until the mid-20th century and from which it derives its name. The Baroque-style changes to the façade were entrusted to Giovan Battista Foggini who worked together with Antonio Ferri, previously the architect for the Palazzo Corsini on the Arno embankment of the same name in Florence. The garden was divided into three separate areas with different uses, following the style made fashionable at the time by the Medici, with a wild garden to the north, an exedra with the Four Seasons to the east, and a geometric flower garden to the south. The Corsinis, however, did not want to give up the agricultural function of their country estate, maintaining a large farm with a vineyard and an olive grove alongside the stately garden. 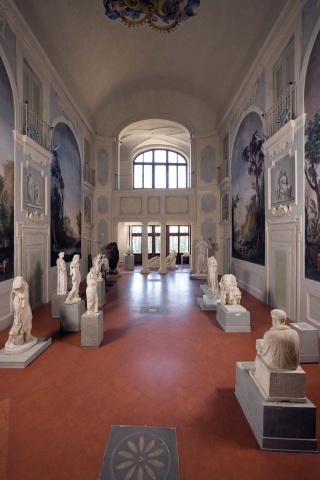 Today the villa houses a priceless collection of sculptures from the Medici collections that, until the last century, had been located in the garden of Florence’s Archaeological Museum. 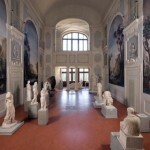 The Villa Corsini’s antiquarium is composed of various rooms that, in addition to containing priceless sculptural works, focus on the most recent archaeological discoveries relating to the development of the ways of life and the peoples who, over the centuries, lived on the plain between Florence and Sesto Fiorentino. 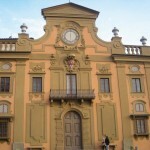 La Villa Fiorentina. Grazia Gobbi Sica, Alinea, Firenze 1998. Giardini di Toscana. A cura della Regione Toscana, Edifir, Firenze, 2001. Toscana etrusca e romana. Touring Club Italiano, 2003. Giovanni Battista Foggini e gli altri artisti nella villa Corsini a Castello. 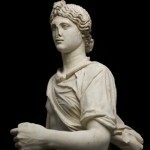 M. Visonà, in “Rivista d’Arte”, XLII, s. iv, vol. VI, 1990, pp. 147-184. 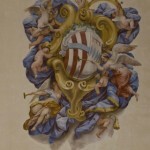 Il progetto di villa Corsini a Castello. In R. Spinelli, Giovanni Battista Foggini “Architetto Primario della Casa Serenissima” dei Medici, (1652-1725), Firenze 2003, pp. 126-132. 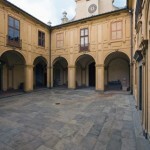 Villa Corsini a Castello. A. Romualdi (a cura di), Firenze 2010. 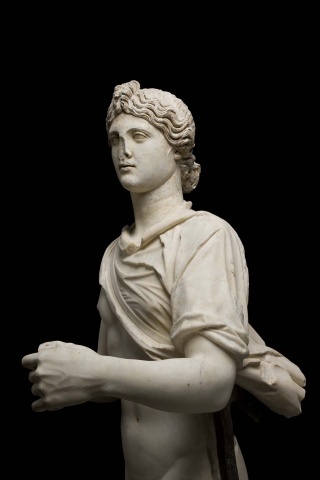 The statue was quite famous in the 17th and 18th centuries when it was placed in a specially-built pavilion in the gardens of the Villa Medici on the Pincian Hill. 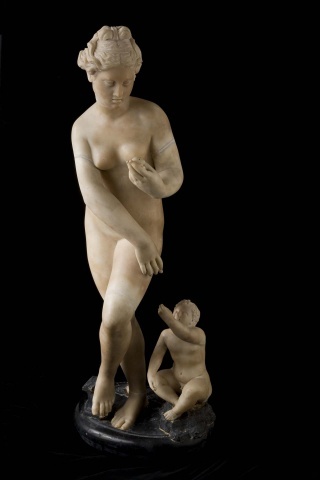 One of the most admired works of the collections of Florence’s Archaeological Museum before the 1966 flood, this recently restored work is exhibited to the public for the first time after more than half a century. 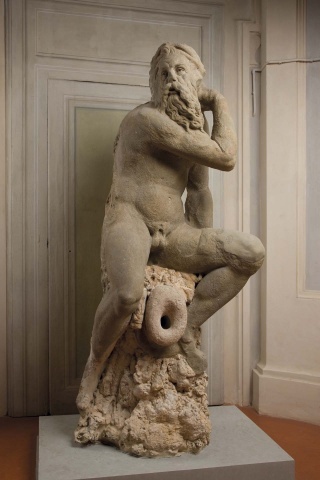 Tribolo’s statue of a River God is among the most important works of Tuscan Mannerism, so much so as to deserve being mentioned even by Vasari. 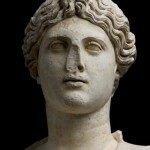 Date: end of the 2nd century A.D. 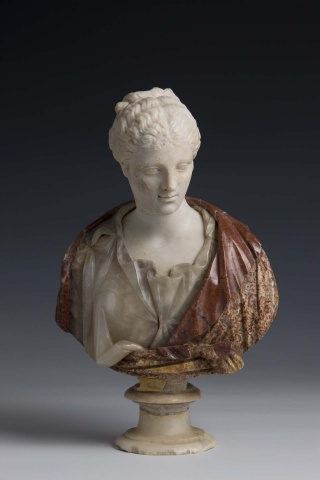 In the 18th century, this lovely object—along with paintings, antique sculptures, weapons, precious minerals and scientific instruments—adorned one of the walls of the Tribuna in the Uffizi. The avenue leads to the Villa Corsini’s wild garden; the fountain designed by Foggini is in the background. 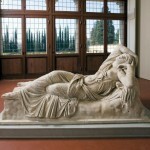 Detail of the sculpture of the Sleeping Ariadne, exhibited in the Villa Corsini hall. 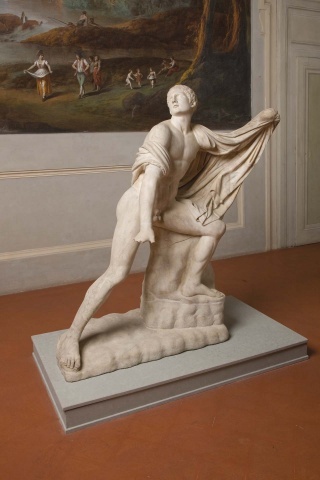 The statue was quite famous in the 17th and 18th centuries when it was placed in a specially-built pavilion in the gardens of the Villa Medici on the Pincian Hill. 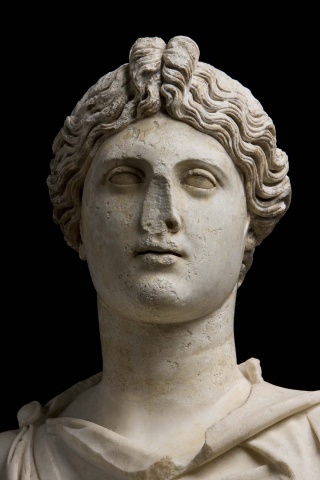 As a result of studies carried out by the University of Modena and Reggio Emilia, traces of the original polychrome have been detected on the face of the sculpture. 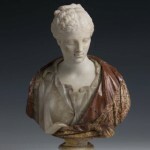 In the 18th century, this small bust in marble and serpentine, along with paintings, antique sculptures, weapons, precious minerals and scientific instruments, adorned one of the walls of the Tribuna in the Uffizi. 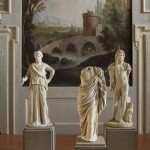 Some examples of the classical statuary exhibited in the hall of the Villa Corsini in Castello. A collection of Etruscan sarcophagi belonging to the National Archaeological Museum in Florence is on display under the arcade in the courtyard. 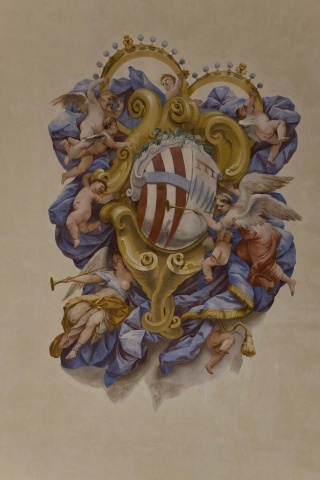 The coat-of-arms of the Corsini and Rinuccini families was frescoed on the ceiling of the hall in Villa Corsini by Alessandro Gherardini and Rinaldo Botti. 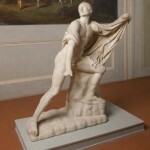 The statue represents one of Niobe’s sons caught as he tries to dodge the arrows of Apollo and Artemis. 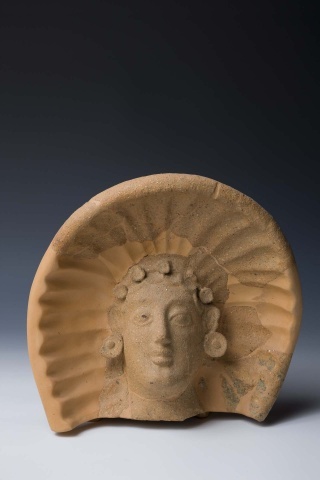 Date: end of the 2nd century. A.D. 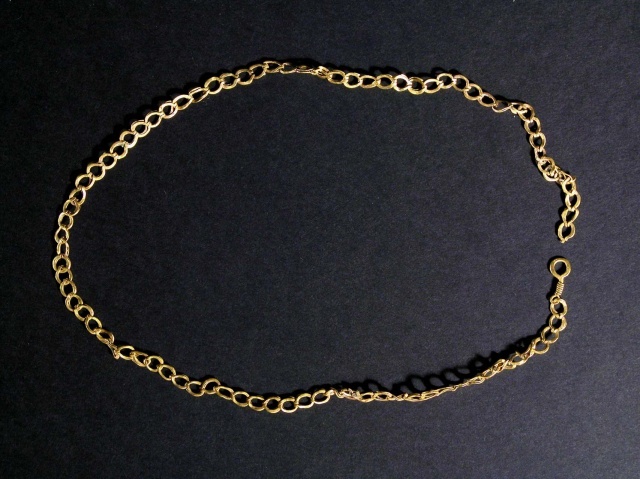 In the 18th century, this small but delightful object, along with paintings, antique sculptures, weapons, precious minerals and scientific instruments, adorned one of the walls of the Tribuna in the Uffizi. 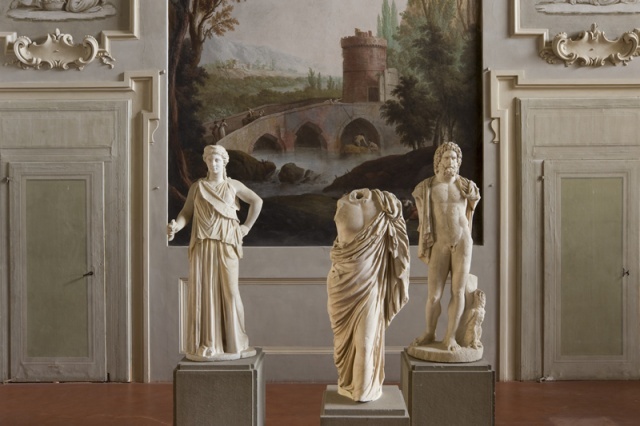 This is just one of the works in the Villa Corsini, exhibited in the rooms dedicated to the important archaeological sites located to the north-west of Florence. 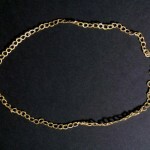 Gold necklace from a Roman building on Via Petrosa in Sesto Fiorentino. 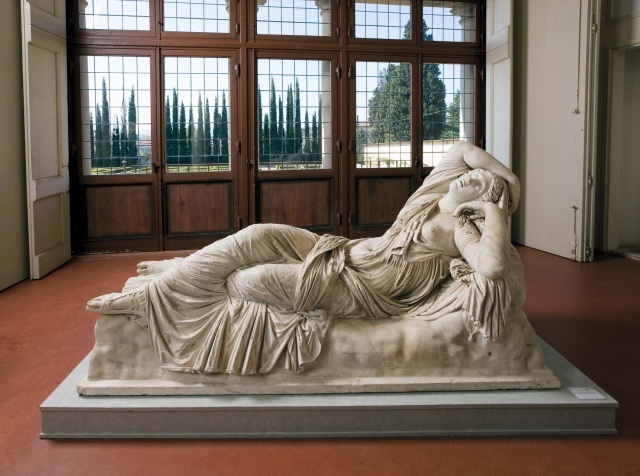 By plane: From the Amerigo Vespucci airport, take the VOLA IN BUS shuttle bus to Santa Maria Novella station. By car: From the A1L take the FIRENZE NORD exit. Follow the signs to Sesto Fiorentino. On Via R. Giuliani, follow the tourist signs for the villa. 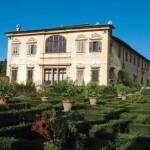 From Florence: in the direction of Sesto Fiorentino, then follow the tourist signs for the villa. 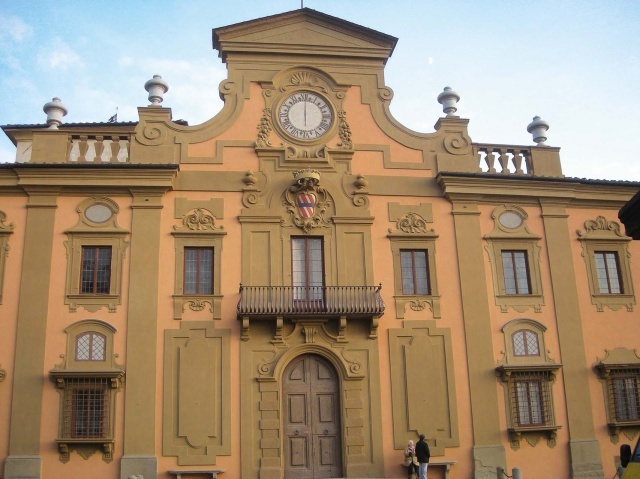 By train: From Santa Maria Novella station in Florence take a local train on the Bologna line. Get off at the Firenze-Castello train station. By bus: Lines 2/28 from the Santa Maria Novella railway station. From Saturday 28 May 2016 the Villa will remain temporarily closed to the public. We apologize for the inconvenience. 1st and 3rd Fridays and Saturdays of each month from 2:00 p.m. to 6:00 p.m.
2nd and 4th Sundays of each month from 9:00 a.m. to 2:00 p.m.